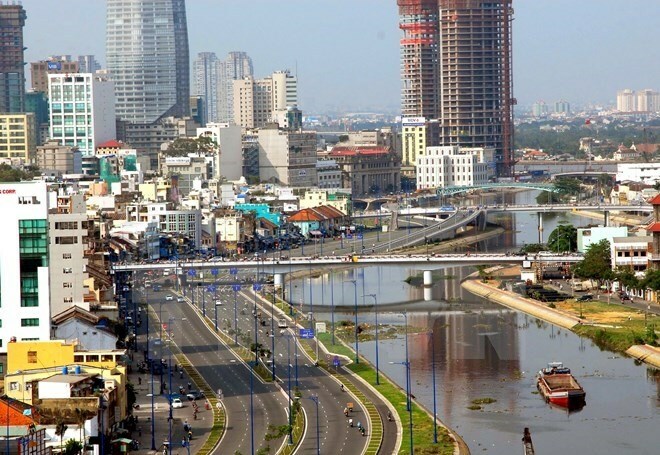 Ho Chi Minh City plans to provide greater support to large firms and solicit investment in infrastructure this year, Chairman of the municipal People’s Committee Nguyen Thanh Phong has said. The city will institute support programmes to help develop its 6,000 large firms with capital of over 100 billion VND (4.3 million USD), Phong said at a recent meeting. It would establish a Project Development Fund and a Financial Compensation Fund, and offer non-state investors public projects with high rates of return. More administrative reforms and more efficient use of the workforce were also on the agenda for 2019. It would mobilise more staff to deal with land clearance and make project developers, managers and other relevant parties accountable for the task, with penalties for failure to meet targets. Authorities and investors would have to spell out spending schedules for public works failing which they would not receive public funds. Investors would also have to specify monthly and quarterly goals, and officials would monitor them. The city was also focused on carefully selecting contractors, approving components and soliciting more investment for works such as shared databases, developing an open economy, the smart city operating centre, and the socio-economic forecasting centre.